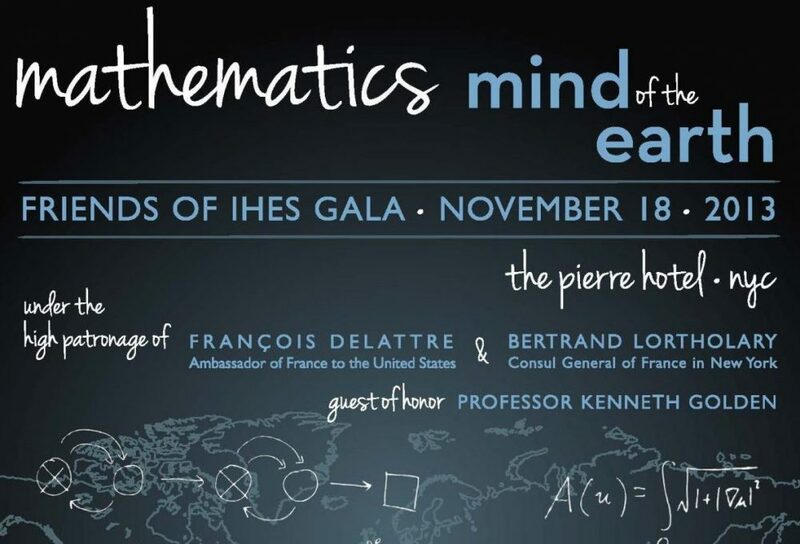 The second Friends of IHES Gala was held on November 18th at the Pierre Hotel in New York. The theme of the evening was “Mathematics, mind of the earth”. This event brought together the mathematician Kenneth Golden, former IHES visitor, a “bipolar scientist”, who has traveled to both North and South poles to find out how new mathematical models are the key to understanding the decline­ of sea iceas well as Jean-Louis Etienne, a specialist nutrition and biology of sport, who has taken part in numerous expeditions to the Himalayas, Greenland and Patagonia. In 1986, he became the first man to reach the North Pole alone. To help us exceed the Gala goal of 200,000$ for funding IHES American visitors and make the event an even greater success, you can take part in the silent auction. You can watch a short USA21 report on the Gala (in French).